Jenna Elfman is returning to TV in the new ABC comedy Imaginary Mary. Elfman’s Alice faces upheaval when a self-professed career-girl falls in love with a dad to 3 kids. Alice’s insecurities are manifested when her destructive childhood imaginary friend returns to her life. This new show premiers on Wednesday, March 29 at 8:30 p.m. ET, so how do you watch Imaginary Mary online. Here is what we know about how to watch the Imaginary Mary live stream without cable. ABC is available in some markets DIRECTV NOW, a new service from AT&T. In these markets, you don’t need a satellite to watch Imaginary Mary streaming live, just a good high speed internet connection. 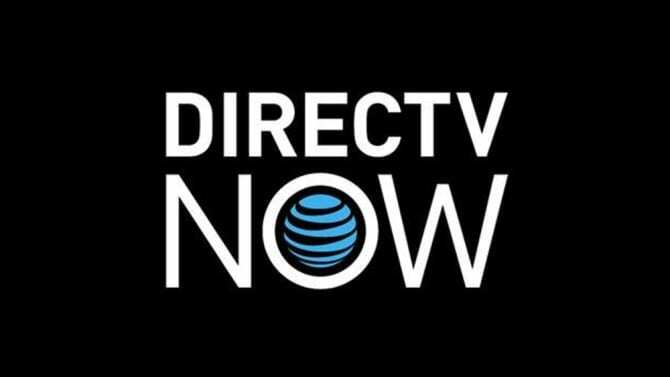 DIRECTV NOW starts at $35 per month for 60+ in the base package. All total, DIRECTV NOW carries over 120 channels across all of its packages. Check out our review and the DIRECTV NOW packages to see how to stream Imaginary Mary episodes online. The service is new, so they are still adding devices and features. They are offering promotional deals on some streaming players for customers who prepay. And DIRECTV NOW has no restrictions on streaming away from home. Start out with a FREE 7-day trial of DIRECTV NOW to watch Imaginary Mary online free. Sling TV from Dish Network is another popular choice among cord cutters. ABC is available in select cities to watch Imaginary Mary streaming live. Sling TV offers 2 base package options. Their Sling Orange package is $20 per month and Sling Blue is $25. ABC is a part of their Broadcast Extra package, which can be added into either base package for an additional $5 per month. The Broadcast Extra offers local affiliates for some metro areas, including Houston, New York, and Raleigh-Durham. With this add-on feature, you can stream at the Imaginary Mary airtime on ABC. Sling TV works with most major players on the market, including Apple TV and Roku – so click for details. Learn about the Sling TV channel list and features in our review. Try Sling TV FREE for 7 days and watch Imaginary Mary online free. You can also stream the Imaginary Mary channel, ABC, on PlayStation Vue from Sony. ABC, along with other local networks, are only available in some U.S. cities. The cost for Vue starts at $39.99 per month in the markets with live local channels. Other customers start at the $29.99. You can stream Imaginary Mary on PlayStation Vue with PS3/PS4, Apple and Android mobile devices, Roku, Apple TV, Amazon Fire TV, and Chromecast. You don’t need to be a PlayStation user to use the service. Vue also has a cloud based DVR which allows users to record shows, like Imaginary Mary episodes, and save them for up to 28 days after they air. The DVR feature is available at no extra cost. Learn more about the service in our PlayStation Vue review. Vue does have some mobile streaming restrictions that could affect your ability to use the app away from home. In most cases, you can authenticate most channel apps to watch on the go. Watch Imaginary Mary online free, try PlayStation Vue FREE for 7 days. How Else Can You Watch Imaginary Mary Online Without Cable? To give you some thoughts on where to watch Imaginary Mary online and on demand, we looked at the top 3 services. It sounds like the show will be available on Hulu after it premiers. However, it is not on Amazon Prime or Netflix at this time. But you can watch using a digital antenna and over the air DVR if you’re in the local broadcast area. That is everything we can tell you right now about how to watch Imaginary Mary online without cable. More questions? Please ask below in the comments.